Of 155 live theatre performances I viewed this year, around one third were musicals. Trips to the West End and Broadway helped the total reach 56 musicals for the year, and would have been even higher if I had been able to regularly visit Sydney, where the independent scene is thriving. Starting off with that trend, it must be noted that the burgeoning boutique musical boom was in full strength during 2014, further adding to Melbourne’s entertainment choices, and practically revolutionising the Sydney theatre scene. New companies and new venues added to the variety and expertise on show. 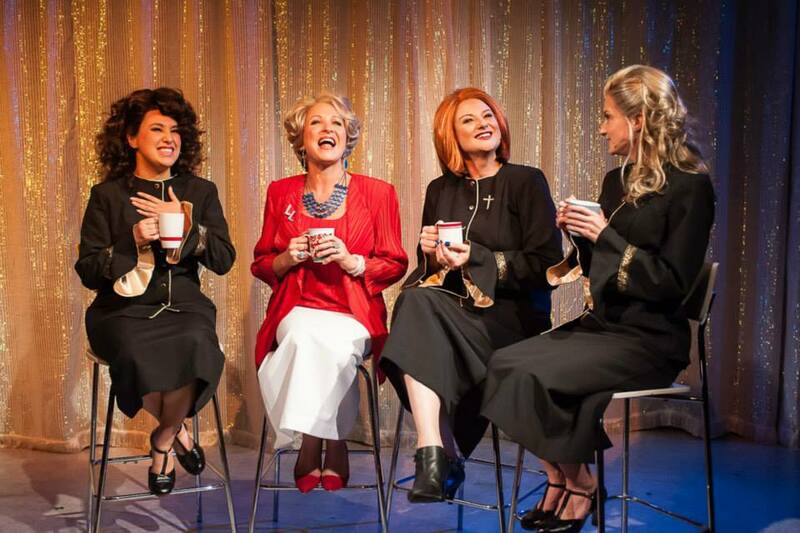 After making a terrific splash with Sweet Charity, the newly formed Hayes Theatre Company were off and running. I finally had the chance to visit the Hayes in October, for their production of riveting 1996 Australian musical Miracle City, a drama about a televangelist family on the brink of implosion. Having missed Squabbalogic’s The Drowsy Chaperone and Darlinghurst Theatre Company’s Falsettos, I was pleased to have the chance to enjoy Theatre Division’s hilarious presentation of camp classic Ruthless! The Musical. 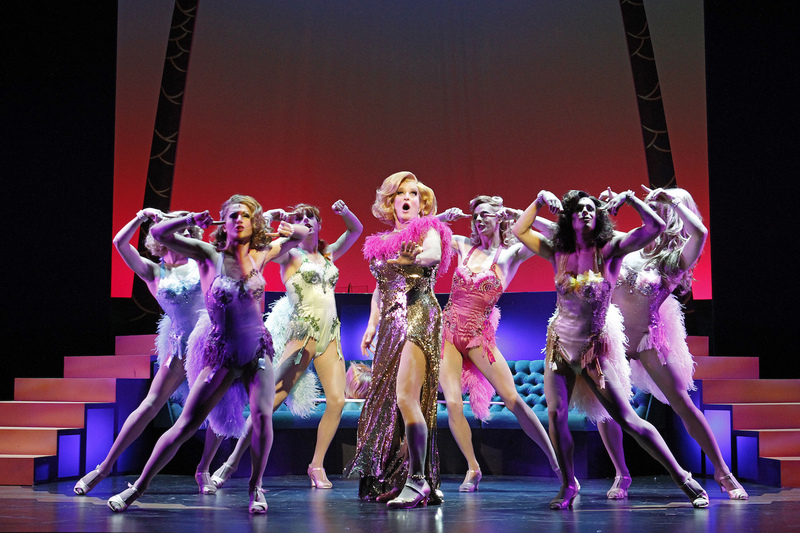 Sweet Charity’s February 2015 Melbourne season is highly anticipated. Meanwhile Melbourne’s independents continued to provide diverse, high quality, low cost offerings, which went a very long way to offsetting the drearily safe revivals of commercial music theatre. Manilla Street Productions made another quality offering with Blood Brothers. Watch This and Manilla Street Productions presented rarely-seen Sondheim musical Pacific Overtures. Audiences seeking new Australian work were treated to well-cast concert stagings of Matthew Robinson musicals Atlantis in Concert and Happy People in Concert. Edward Grey organised a moving presentation of William Finn’s Elegies. Rubix Productions presented quirky musical Calvin Berger, based on Cyrano de Bergerac. New company Ghost Light made their presence felt with cult teen horror musical Carrie. 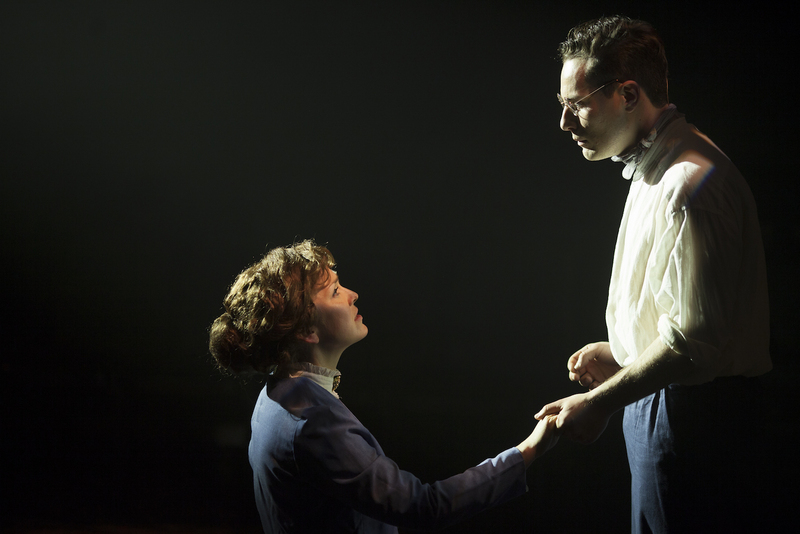 The Collective hit gold with their premiere season, stirring Jason Robert Brown musical drama Parade. Fellow newcomers Life Like Company were impressively bold in heading straight into Playhouse, the Arts Centre Melbourne, with their opening season of Passion, another rarely seen Sondheim musical. While I have long been one of the staunchest advocates of Melbourne treasure The Production Company, their model did seem to falter somewhat this year in comparison all these interesting, well-cast, low cost shows. Despite impressive design and talented cast, Guys and Dolls was edited in script and scale to a hollow facsimile of the original. A dreary adaptation made it difficult for Show Boat to really take flight. Charismatic leads, a classic score and a more intimate venue helped La Cage aux Folles end the year on a more positive note. As the lovingly revived The Lion King continued in Sydney, it was joined by high profile, big budget, brand new Australian musical Strictly Ballroom. The concept and designs were world class, but Strictly Ballroom’s bloated book and lack of a unified score undermined it as a musical. 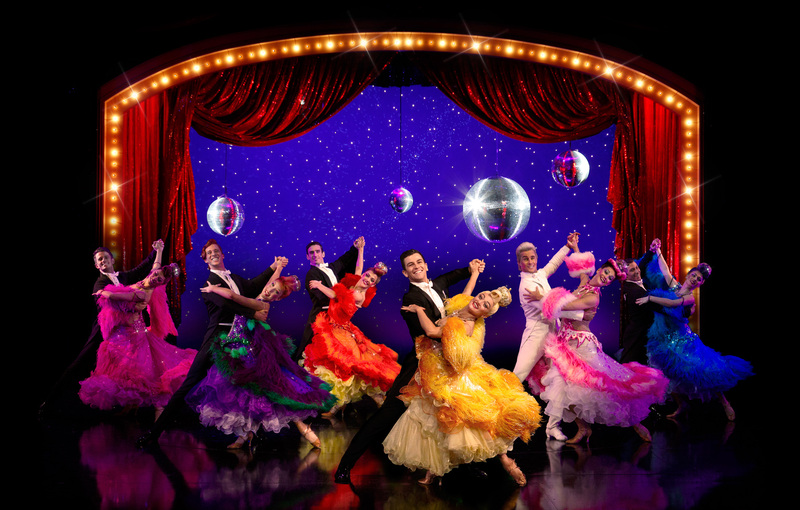 Hopes are high for Strictly Ballroom to reach its full potential in the coming Melbourne season. Victorian Opera gathered an interesting cast of music theatre and opera performers for Into the Woods, the second installment of their Sondheim trilogy. The production was all but sold out before it opened, and while there was a great deal to admire, the production polarized lovers of the show, with devotees of the Broadway original (widely seen as a filmed recording) finding the production somewhat difficult to accept. After a massive wait from the initial announcement, back in 2013, Les Misérables finally roared back onto the Melbourne stage. 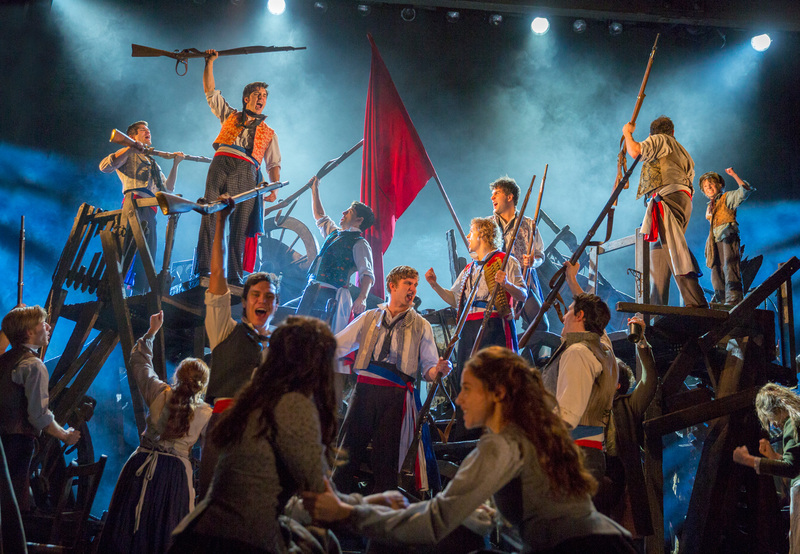 Enhanced by a new design and new orchestrations, Les Mis featured a wonderful cast, brimming with experienced performers and talented newcomers alike. Sole new Broadway musical of the year was 2012 Tony winner Once, a charmingly quirky, chamber-sized musical that was somewhat dwarfed by the three-tiered size of the Princess Theatre. Although inexplicably featuring an imported male lead, the remainder of the cast of Australians were (are) superbly talented quadruple threats, acting, singing, dancing and playing the score themselves on hand-held instruments in place of a traditional pit band. 2014 was the year in which musical programs rose to $25, a charge inflicted by shows such as Wicked and Les Mis. The rise comes some 18 years after $20 was charged for programs way back in 1996 for Sunset Boulevard. The line-up was a little disappointing in the West End last January. Andrew Lloyd Webber’s Stephen Ward the Musical and Tim Rice’s From Here to Eternity the Musical were both basically dead on arrival. Tori Amos musical The Light Princess was beautifully produced at National Theatre but struggled to capture audience enthusiasm and affection. Charlie and the Chocolate Factory may have eye-popping designs (and a blue chip title) but is let down by a fairly pedestrian book and score, despite the songs being by Hairspray’s Marc Shaiman and Scott Wittman. While movie adaptations The Bodyguard and The Commitments were not overly exciting, new musical American Psycho: A New Musical Thriller was certainly worth a trip out to the Almeida. The pending Broadway season of American Psycho, with music by Spring Awakening scribes Sheik and Sater, is eagerly anticipated. New venue St James Theatre housed generally satisfying seasons of Sondheim’s Putting it Together and Webber’s Tell Me on a Sunday. Ever-reliable boutique venue Menier Chocolate Factory presented a rousing, gorgeously sung version of Bernstein classic Candide. The new Broadway season introduced a couple of new hits along with a couple of duds. A riot of colour and gorgeous melodies, Aladdin is sure to succeed wherever its magic carpet takes it. A Gentleman’s Guide to Love and Murder is a hilarious, tuneful, original show, very well deserving of its Best Musical win. A few months before its Melbourne premiere, the new staging of Les Misérables was seen when it re-opened on Broadway. Broadway never disappoints in the generous sprinkling of stardust. 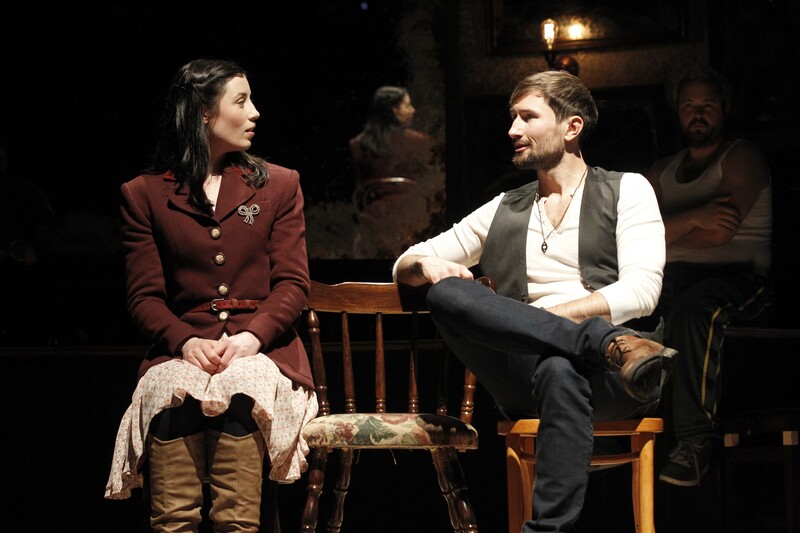 Beloved belter Idina Menzel carried high-concept new musical If/Then. Neil Patrick Harris shone in cult musical Hedwig and the Angry Inch. Audra McDonald was incredible as Billie Holiday in Lady Day at Emerson’s Bar & Grill (technically a play). Michelle Williams was cute but underwhelming as Sally Bowles in Cabaret, in which Sam Mendes’ 1993 staging is the real star. In a boutique staging, by Broadway standards, Sutton Foster soared as brave, devastatingly deluded heroine Violet. Dance musical After Midnight featured incredible choreography, but its lack of a book did not help to attract audiences. Created in the old-fashioned Broadway musical style, Bullets over Broadway should have been a hit but seemed to be this year’s show that was the target of bad press. The Bridges of Madison County also floundered, despite a rapturously beautiful score sung superbly by its two stars, Kelli O’Hara and Steven Pasquale. Heathers the Musical failed to live up to the potential of its source material. As a Broadway musical, the presence of Rocky was surely due to a drunken dare. 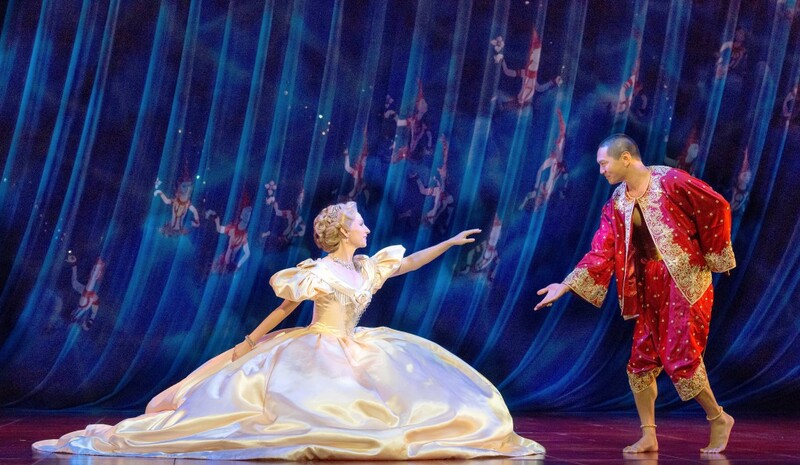 What on earth could be so different about a new production of the King and I! It has survived this long because people love it and the power of it lies completely in the performances. McCune owned Anna – she played her to perfection. I would prefer to see her in this version than someone else in the Sher. If they wait a few years they can bring the Sher version over here and cast McCune again. I bet she would pull in the same audiences as she did in this season. They can cast an Asian king to shut up all the moaners. The revamped Les Miserables was magnificent – I’ll be seeing it again in Sydney. I apologise Simon, I didn’t scroll all the way down to see you acknowledged Mccune’s performance. I totally agree with your choice of Gleeson. I sat breathless in my chair during his rendition of ‘Bring Him Home’. I loved the performance of all the male actors although I felt that the fellow playing Marius was a little weak. I love Empty chairs at empty tables and after hearing Michael Ball singing it I realise how great it can be. No-one will ever compare to Debbie Byrne as Fantine – for me at least – but overall the newcomers to Les Miz have been given a wonderful cast to cut their musical theatre teeth on. Such a pity their introduction to the show was most likely via that deplorable movie. Thanks very much for all this feedback, glad to hear other opinions! I know it was a long article, so I can see how you missed the ‘best/worst’ bit at the bottom the first time – I probably should have mentioned those great performers in the main text as well but I was just trying to save a few words! I agree that it is hard to imagine what else could be done with The King & I, but if anyone can do it justice, Sher and team can (Michael Yeargen – sets, Catherine Zuber – costumes). I will judge when I see it on Broadway in April. Of course it would be amazing for this new version to come to Australia with McCune starring again, but I just cannot see that happening in the near future so soon after this revival. I was lucky enough to see Les Miz again on Sunday (14 Dec) and it is in superb shape. The younger performers have really grown in their roles. Kerrie Greenland (Eponine) is as strong as ever, but has developed a greater control over her powerful volume. Euan Doidge (Marius) sings sweetly, and nicely contrasts Marius’ breathless, wide-eyed passion with his later shell-shocked maturity. And with a humbly gracious lead player like Gleeson as a stellar example for handling success, the cast have all maintained level heads and modest egos. I, too, will definitely be seeing the show again in Sydney! I agree also about the Les Miz movie (haven’t even taken the plastic off my blu ray copy). Very relieved that the Into The Woods movie is much better! Fingers crossed for an exciting and varied theatrical calendar for all of us in 2015!